And zooming into the distance…. The back side of Baylor, at the top left. See it from the front here. And, my favorite, SMU’s Dallas Hall, waaaaaaaaaaaaaay in the distance. SMU hadn’t even officially opened when this photo was taken! 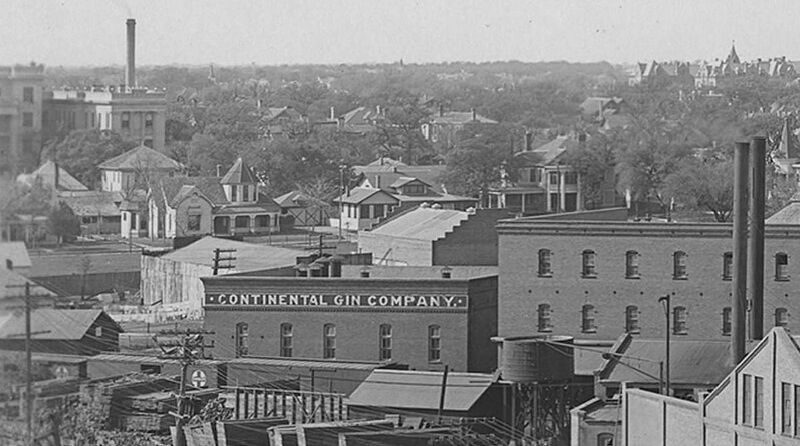 Photograph titled “Continental Gin Company on Elm Street, Facing North” by Charles Erwin Arnold; from the George W. Cook Dallas/Texas Image Collection housed at the DeGolyer Library, Central University Libraries, Southern Methodist University. The photo and its details can be viewed here (I have altered the color in the images seen in this post). Map detail from a large 1919 Dallas street map (which can be seen via the Portal to Texas History, here). 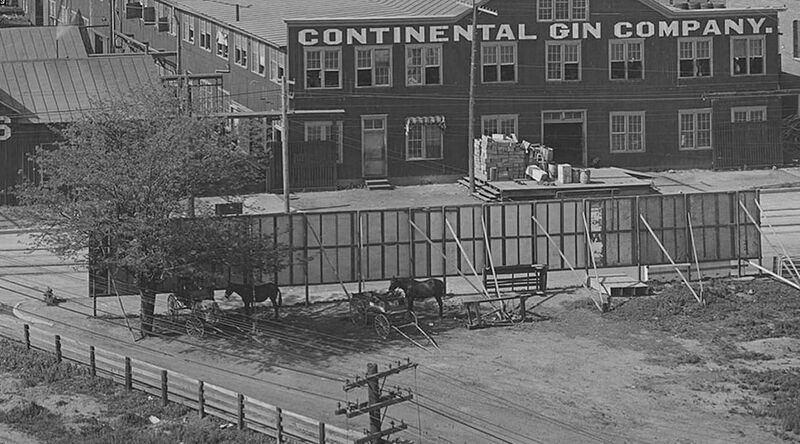 I wrote at length about the history of the Continental Gin complex of buildings in the post “Munger’s Improved Continental Gin Company,” here. Thanks! I really love this for so many different reasons — not least of which is because my brother lived there for a while when only a handful of artists were living there, and I got to see it in its industrial grittiness. Very nice Paula! 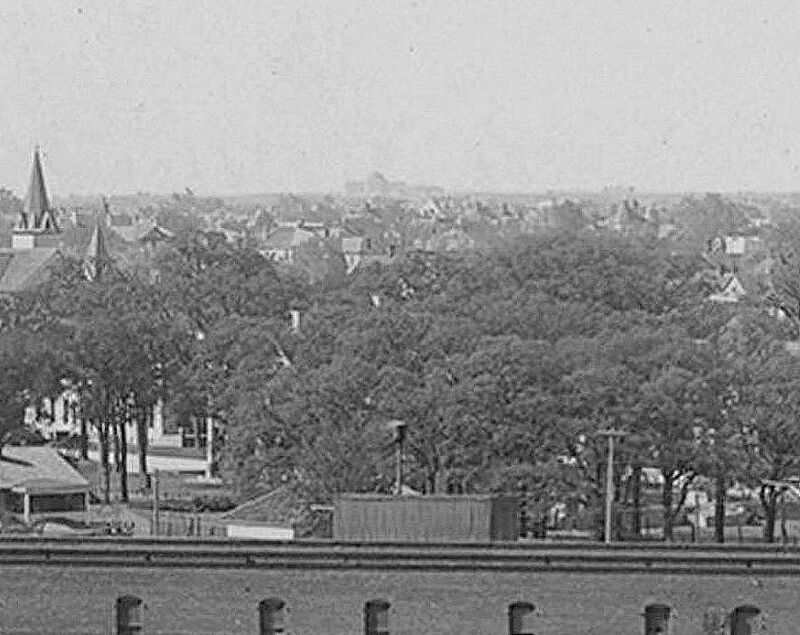 I like the incredible detail of the photo and the zoom on the east end of the 1909 Baylor Hospital Bldg. Surely the Planters House (third pic down) didn’t get included in many photographs, to say nothing of the barbershop conveniently located just steps away across the street. The 1884/85 city directory (online!) has the entry: Planters House, ss Elm opp Car Shops, E. Dallas, Ferdinand Ganzer, propr. A really wonderful photograph. Yeah, I loved seeing the Planters House. And I love the horses (is one a donkey?) 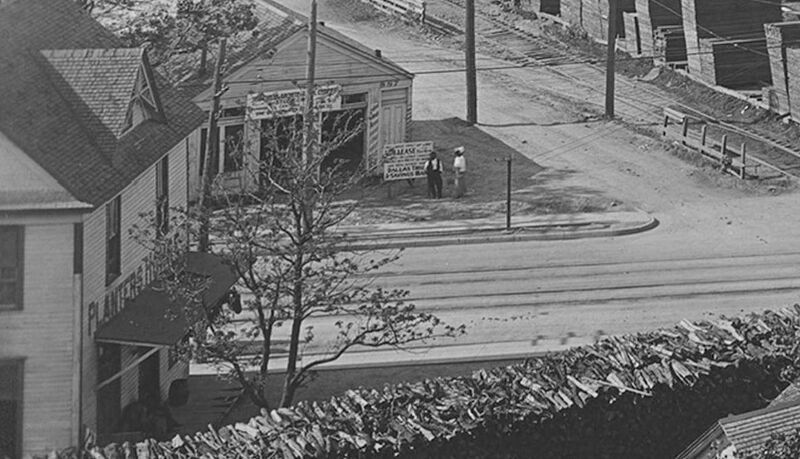 in what I think was, at that time, a residence, across Elm from the Continental Gin Co.
again these are rare never before seen images shot at a great height….for insurance purpose maybe….my studio was a east side for 10 years, and this was the south in term of the machines that made cotton a big valuable crop……great stories, these are award winning new stories…. In checking out the Planters House in the Sanborn insurance maps a most curious thing becomes evident: the hotel was moved, or perhaps burned- or torn-down, at least twice between the early 1890s and the roaring twenties. 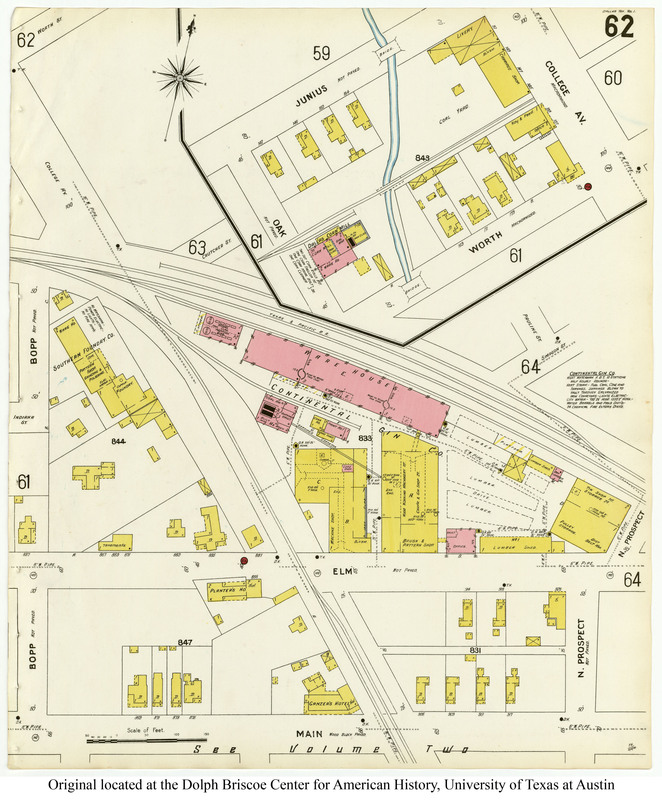 In the 1892 Sanborn map the hotel is oriented to face the tracks paralleling the Continental Gin Co., which places the east end of the hotel seriously out into Elm Street.By 1899 it was cranked around in a clockwise direction, so while it no longer faced the tracks it still stood significantly out into the Elm right of way. In 1905 the same. 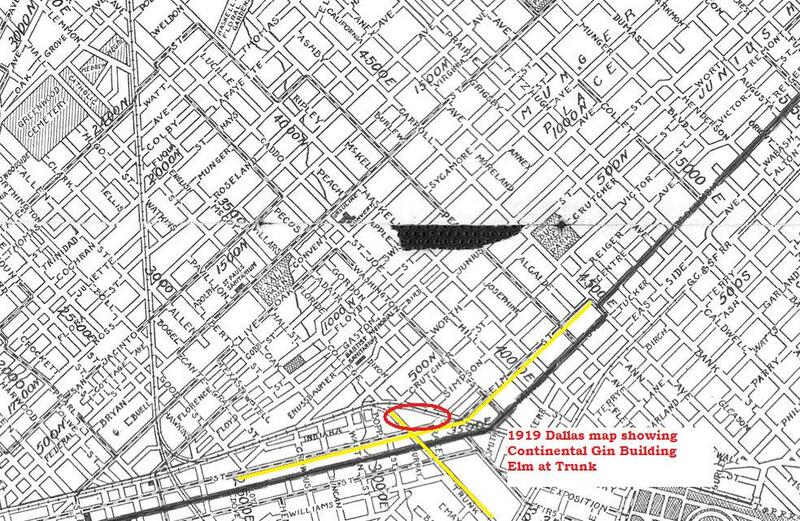 The 1921 map shows hotel parallel to Elm and no longer hinting at an orientation with the tracks. The 1914 photograph in this piece appears to agree with the 1921 map. Let’s hear it for the Sanborn maps! yes very good work bob…. 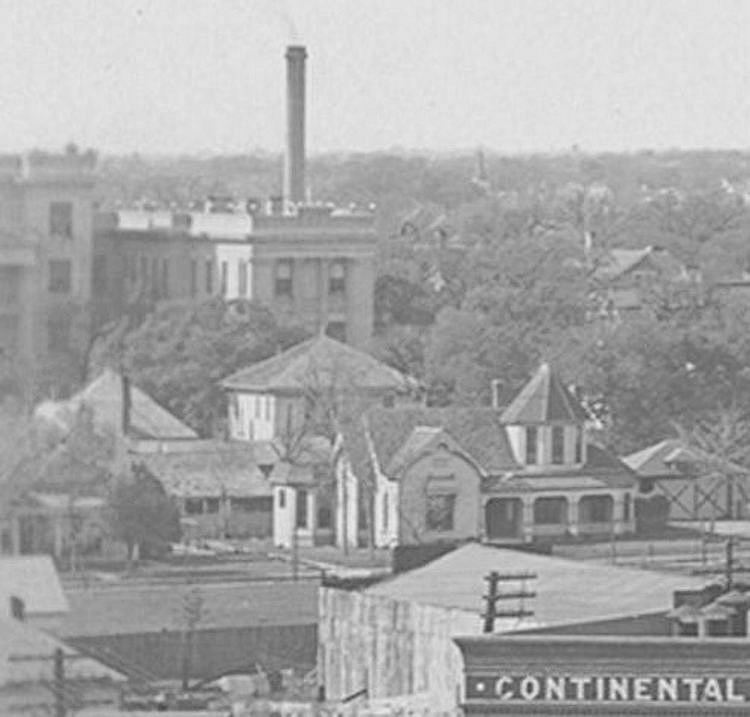 we have a rich history by being here today..thanks…..
A while back I discovered that Burton Rascoe’s biography of Belle Starr said Belle stayed from time to time in a Dallas hotel he called “Planter’s Hotel”, a name which was not infrequently applied to the Planter’s House on Elm Street. 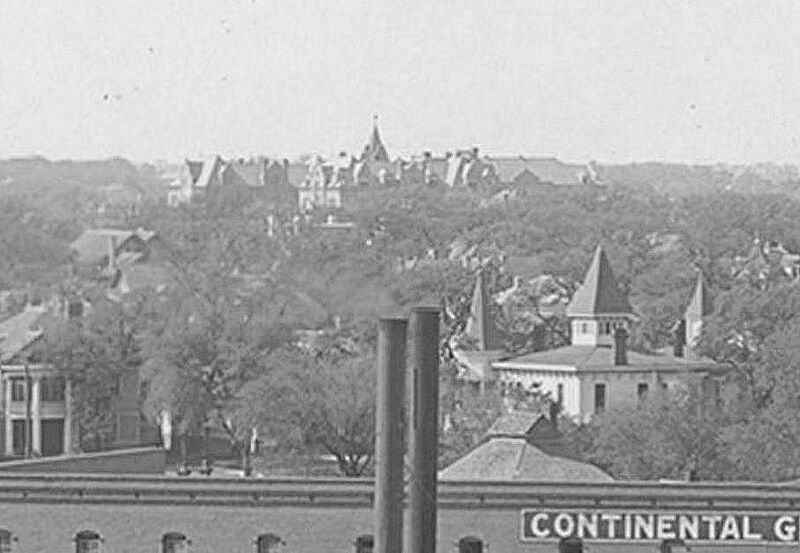 As far as I can Rascoe’s reference was to the hotel across Elm from the Continental Gin Co. It certainly is plausible, as it was convenient to her family living in the Scyene area, and also provided quick access to the railroad for trips into the Indian Territory or wherever.